I use and advocate secure authentication, verification, and encryption methods. Naturally, I have used 2-Factor-Authentication for a long time wherever it is available (Google, Facebook, Dropbox, and many others). In addition, my computers and mobile devices use Full Disk Encryption, protecting my data at rest. 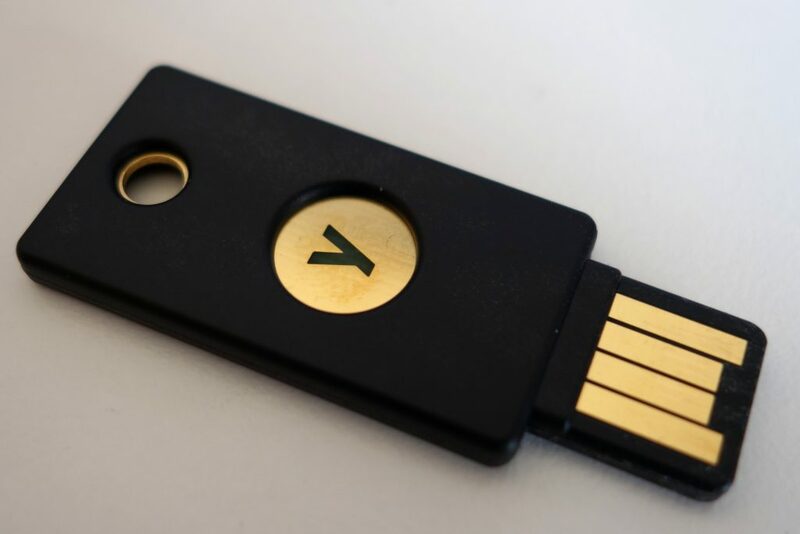 The YubiKey is a small USB device that augments different authentication methods to accomplish these tasks. I recently purchased two of YubiCo’s latest model, the YubiKey 4 to help me with 2FA and FDE. Ten years ago, I returned from my student exchange year in Texas. When I got out of the plane in Vienna, I had lost a lot of weight compared to the time I boarded my US-bound plane a year earlier (this is very unusual for exchange students – especially those in the USA). Immediately after my arrival, my family and I went on a two-week holiday in southern France. There, I drank up to nine liters of water or juice a day and went to the bathroom accordingly often. I ate loads of food but still lost weight. I was tired, quiet and glum. Reading books was hard because my eyesight was strangely distorted. After our return home, we called my uncle, a doctor. He told us to go to the hospital immediately. Clay shooting a few days before my return to Austria. 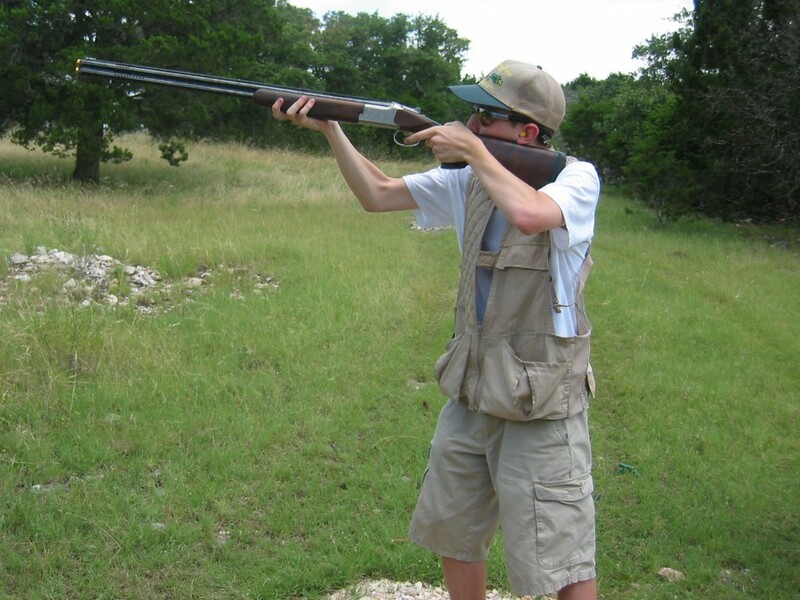 I was really skinny; fortunately the recoil still did not knock me over. Smartphones are almost ubiquitous today and have replaced the traditional stopwatches as timekeeping devices for many debaters around the world. Most smartphones have a stopwatch built in, but Chuan-Zheng Lee of New Zealand wrote Debatekeeper, a very useful app for Android phones which makes timing debates easier and more convenient for judges, timekeepers and speakers. The program currently includes the British Parliamentary format as well as several other parliamentary debating formats. One great feature about Debatekeeper is its extensibility. It is trivially easy to use additional debate formats by writing a short and simple XML file and putting it on your phone. With a view to the upcoming German-Language Debating Championship (2013-05-30 to 2013-06-02 in Munich), I wrote a file to use the Open Parliamentary format in Debatekeeper. Open Parliamentary Debate is an indigenous German format based on BP and invented by debaters of Streitkultur Tübingen. Its most notable features include two teams with three speakers each and three “Nonaligned Speakers” who get to speak for 3.5 minutes before the Whip speakers and may chose to represent either the Government or Opposition side. You should create a directory called debatekeeper on (the root directory of) your phone, and place the XML file in there. It must have the file extension .xml. If you give your file the same name as one of the built-in styles, then your custom file will override the built-in style. Otherwise, Debatekeeper will just add it to the list. For more information on OPD, please see Streitkultur Tübingen’s OPD service page (in German). A brief overview of the format is available as a two-page PDF file (in German). Many leftist individuals and groups like to use the acronym ACAB as a slogan. It stands for “All Cops Are Bastards” and, obviously, expresses disdain for the police. Similarly, purported pacifists and anti-militarists use the slogan “Soldiers Are Murderers” (which appears to be more common in German-speaking countries). Both slogans are strong, generalized statements. As such, they label an entire group of people and, by their internal logic, do not allow for any exceptions. This is the basic reason why these and similar slogans are not just factually wrong, but actually advance goals counter to those of the people most commonly using the slogans. Will the Shoa be historically unique? Antizionism after Auschwitz is, necessarily, antisemitism.